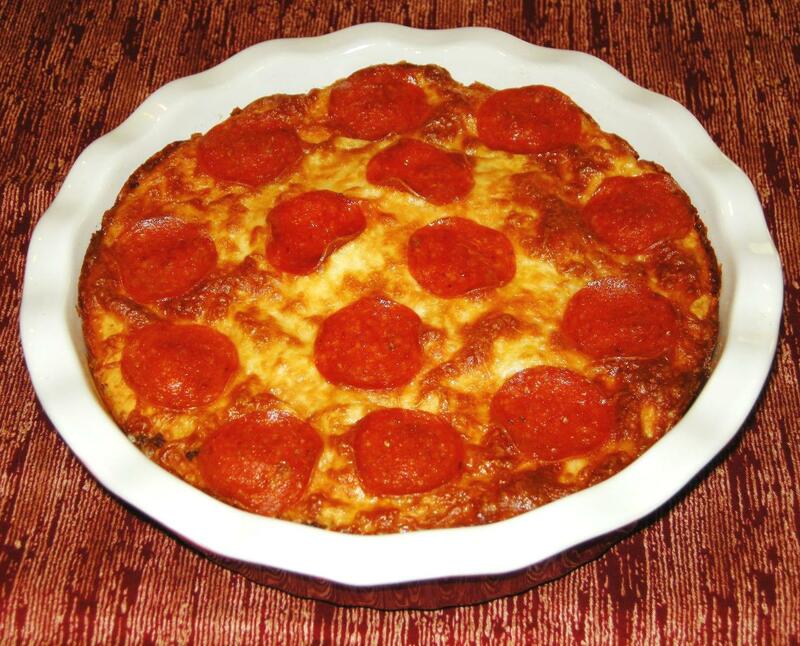 A popular invention from the 1970s, these main dish pies are made using baking mix in a batter that is poured over cooked meat, cheese and vegetables in a pie plate and forms its own crust as it bakes. 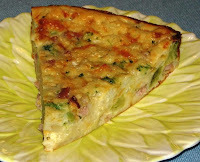 Try some of the recipes on this blog. A popular invention from the 1970’s, these main dish pies are made using baking mix in a batter that is poured over cooked meat, cheese and vegetables in a pie plate. The pie forms its own crust as it bakes. 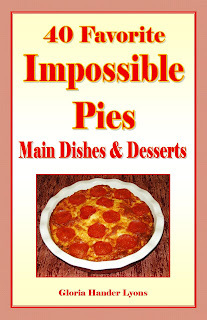 This fun cookbook includes 30 Impossible Main Dish Pies, like Impossible Sausage & Pepperoni Pizza Pie, Impossible Chicken Pot Pie and Impossible Tuna Casserole Pie, plus 10 Impossible Dessert Pies, like Impossible Chocolate Cream Pie, Impossible Pecan Pie and Impossible Cheesecake Pie. If you're not familiar with the concept of the “Impossible Pie”, you’re in for a real treat. These quick and easy entrees and desserts are shaped like a pie, but without all the fuss involved with making a traditional pie crust with a filling. 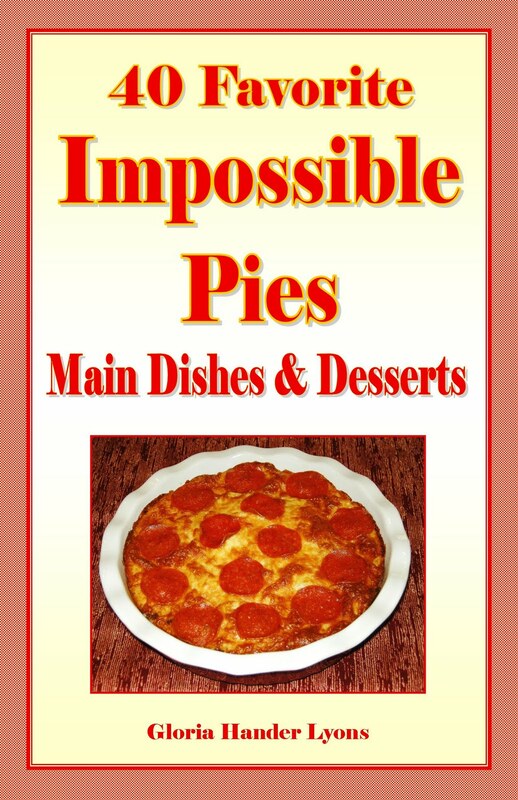 Impossible pies were first invented during the 1970s by home economists at the General Mills Corporation. 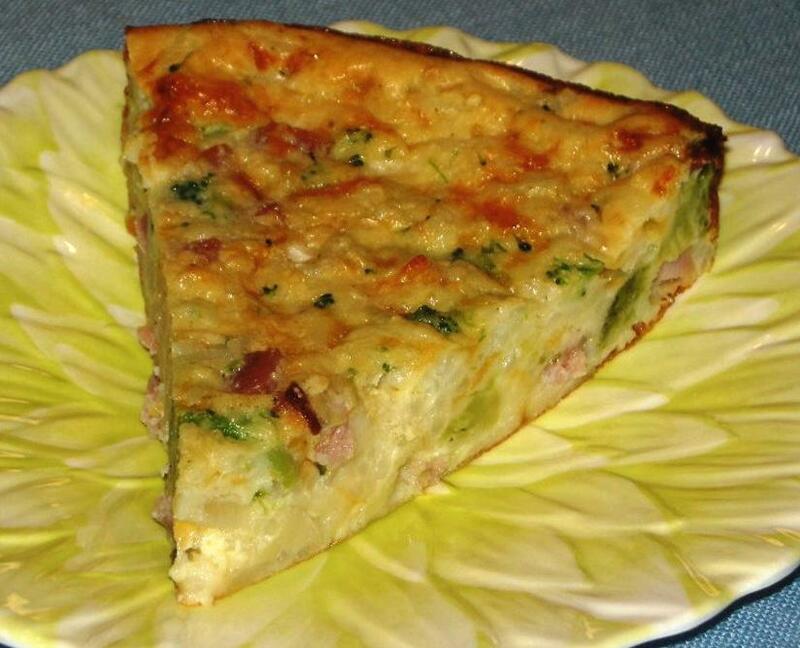 They used Bisquick® baking mix, milk and eggs to create a batter that was poured over sweet or savory ingredients in a pie plate. 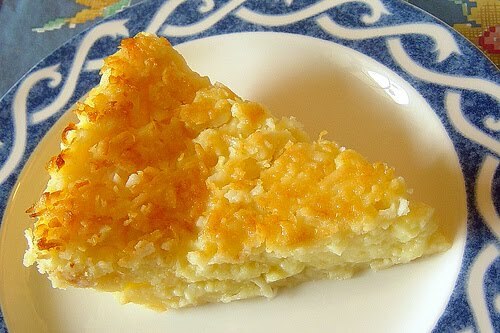 The pie formed its own “crust” while baking and the finished product was then cut into pie-shaped wedges. American cooks have since created hundreds of variations of the original impossible pie recipes. I’ve included 40 of my favorites in this book, like Philly Cheese Steak Pie, Turkey Club Pie, Tuna Casserole Pie and Scalloped Potato & Ham Pie. Each pie makes six regular or four large servings. You can store the leftovers in the refrigerator for several days or in the freezer for up to 3 months; then reheat in a microwave oven for a quick lunch or dinner meal. These tasty meat pies are great for packing in your lunch box and reheating in the microwave at work. Each of the main dish pie recipes makes a hearty, budget-conscious meal your family will love. I’ve also included ten dessert pie recipes that are not only quick and easy, but scrumptious! Try some of the recipes listed in the links at right. Preheat oven to 400º. Spray a 9” X 1-1/2” glass pie plate with cooking spray. 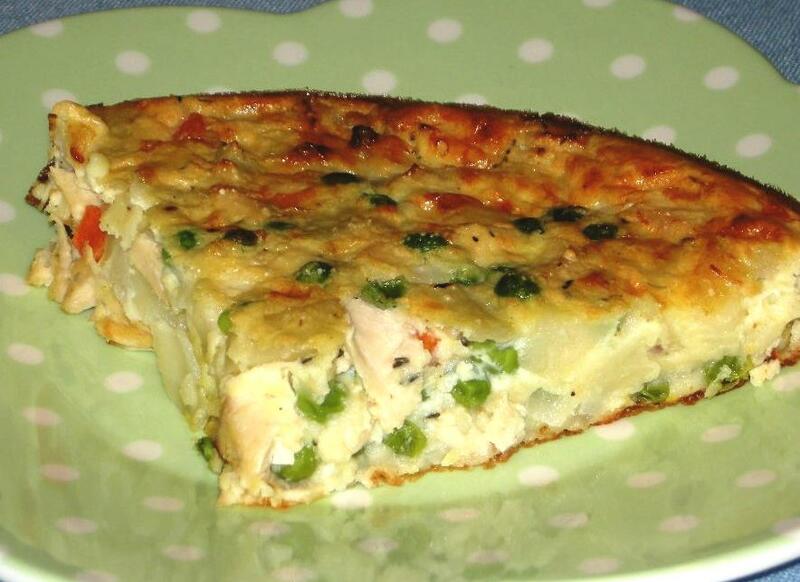 Mix together chicken, onion, green chilies and cheese. Spread mixture in pie plate. In a small bowl, beat remaining ingredients together with a wire whisk until well blended. Pour into pie plate. Bake 35-40 minutes or until knife inserted in center comes out clean. Let stand 10 minutes before serving. Serve warm with sour cream and salsa if desired. Preheat oven to 400º. Spray a 9” X 1-1/2” glass pie plate with cooking spray. Stir together chicken, peas and carrots, potato, onion and bouillon. Spread mixture in pie plate. In a small bowl, beat remaining ingredients together with a wire whisk until well blended. Pour into pie plate. Bake 35-40 minutes or until knife inserted in center comes out clean. Let stand 10 minutes before serving. *Cook a medium-size potato in the microwave until soft. Let cool slightly, then peel and dice. Preheat oven to 400º. Spray a 9” X 1-1/2” glass pie plate with cooking spray. In a skillet, cook beef and onion until done. Drain and stir in salsa, taco seasoning, tortilla chips and 1/2 cup cheese. Spread mixture in pie plate. In a small bowl, beat baking mix, milk, eggs and salt together with a wire whisk until well blended. Pour into pie plate. Bake 35-40 minutes or until knife inserted in center comes out clean. Sprinkle with remaining 1/2 cup cheese and return to oven for a couple of minutes until cheese is melted. Let stand 10 minutes before serving. 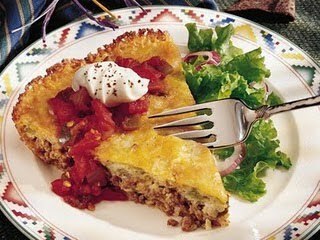 Top each slice with chopped lettuce and tomato and serve with extra salsa if desired. Preheat oven to 400º. Spray a 9” X 1-1/2” glass pie plate with cooking spray. 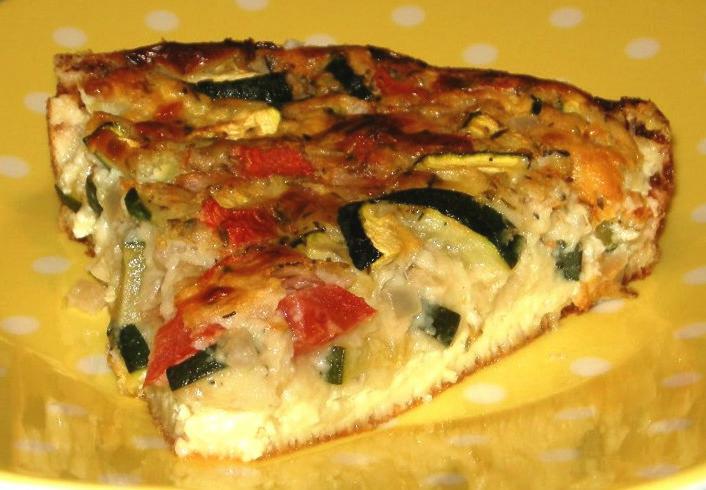 Mix together zucchini, tomato, onion and cheese. Spread mixture in pie plate. In a small bowl, beat remaining ingredients together with a wire whisk until well blended. Pour into pie plate. Bake 45-50 minutes or until knife inserted in center comes out clean. Let stand at least 10 minutes before serving. Preheat oven to 350º. Spray a 9” X 1-1/2” glass pie plate with cooking spray. Mix all ingredients together in a blender 1 minute or using an electric mixer 2 minutes or until smooth. Pour into pie plate. Bake 45-50 minutes or until knife inserted into center comes out clean. Let cool completely before serving. Click on the book cover above to order or read more about this fun cookbook. Click on the photo above to visit the author's website. I write and publish cookbooks and how-to books about interior decorating, crafting, party planning, plus humorous short story collections. I have had several short stories published by Chicken Soup for the Soul. Now I'm writing fiction and blogging about my cancer journey bucket list. 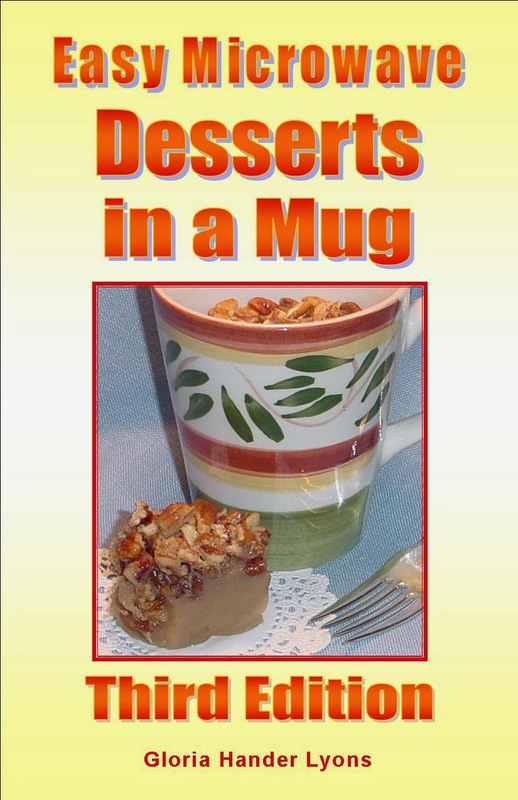 Click on the book cover above to order or read about my best-selling cookbook with 100 recipes for single-serving desserts that are prepared, cooked and served in a mug in less than 5 minutes, like chocolate brownie, pecan pie and peach cobbler. 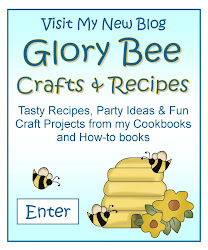 Click on the image above to visit the Glory Bee Crafts & Recipes Blog for lots of free craft projects, party ideas and recipes from my books. Hand Over the Chocolate & No One Gets Hurt! 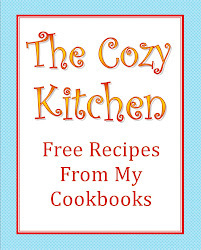 Click on the image above to get Free recipes from all my cookbooks on The Cozy Kitchen website.